Lone Star Swing Syndicate kicks off 2011 Mother's Day at the TCMF. AUSTIN — In Sunday night’s closing set, Maestro Robert Laguna of the Austin Civic Wind Ensemble reminded the crowd that a concert band that didn’t play a march, didn’t love their mothers. Sunday, ACWE kicked off with a Sousa march to honor all the Mothers, and capped off a great Mother’s Day of music at Central Market. The program opened with the Lone Star Swing Syndicate playing, what else, but swing music. Next was an hour of classical music – including an original composition – by the Hill Country Winds woodwind octet. 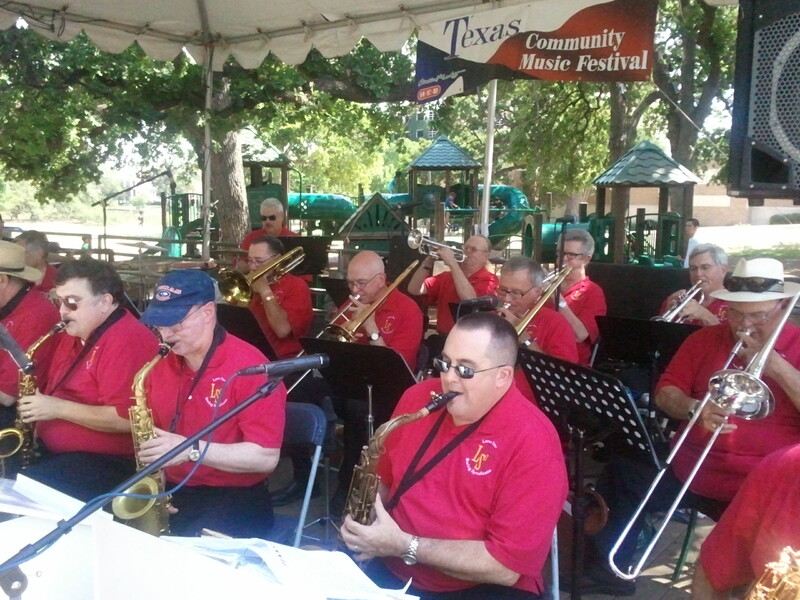 Bobby Davis and the Austin Jazz Band performed next, followed by NAJO, which featured a sweet father-daughter vocal duet, along with some hot jazz. And ACWE closed the show, just as it had opened TCMF a week before. The Sixth Annual TCMF continues Monday and Tuesday at Central Market North and concludes Wednesday at the Farmer’s Market at the Park at The Triangle. Check the Schedule page for more information.